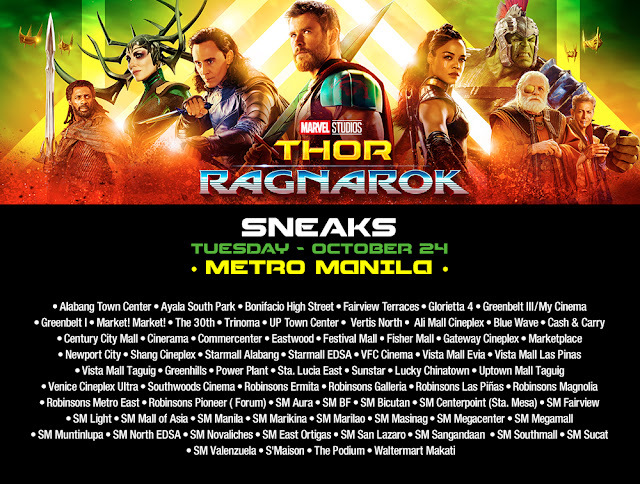 In the film, Thor (Chris Hemsworth) is imprisoned on the other side of the universe without his mighty hammer and finds himself in a race against time to get back to Asgard to stop Ragnarok—the destruction of his homeworld and the end of Asgardian civilization—at the hands of an all-powerful new threat, the ruthless Hela (Cate Blanchett). But first, he must survive a deadly gladiatorial contest that pits him against his former ally and fellow Avenger—the Incredible Hulk (Mark Ruffalo). The film also stars Tom Hiddleston, Idris Elba, Jeff Goldblum, Tessa Thompson, Karl Urban and Anthony Hopkins. 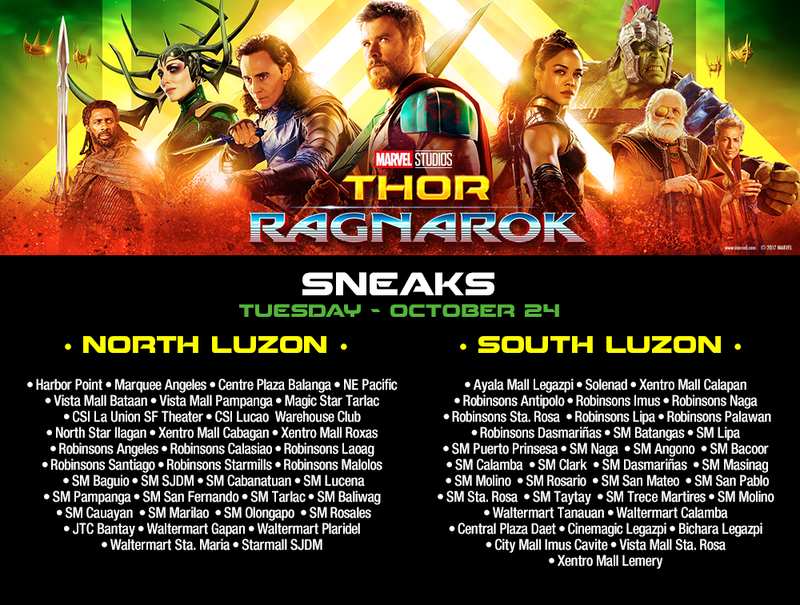 "Thor: Ragnarok" is distributed by the Walt Disney Company (Philippines) and officially opens the day after, October 25, 2017.